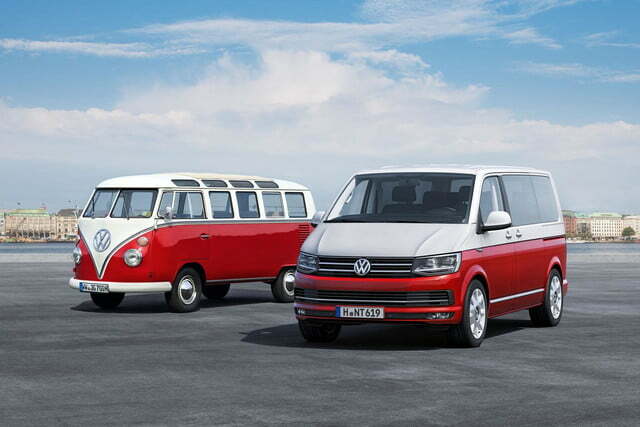 Volkswagen has introduced the new 2015 Transporter, a direct descendant of the iconic rear-engined Bus that was a common sight on American roads for decades. 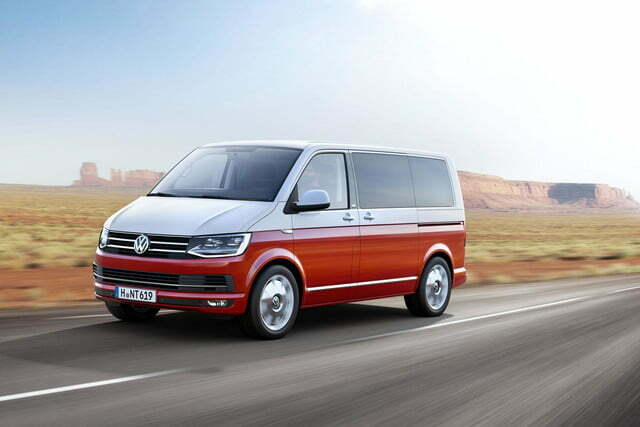 Representing the van’s sixth generation in 65 years, the new mid-size Transporter gets minor visual modifications such as bigger headlights with LED daytime running lights, a slightly taller three-slat radiator grille and a redesigned lower bumper with a wide air dam and a thin strip of chrome trim. 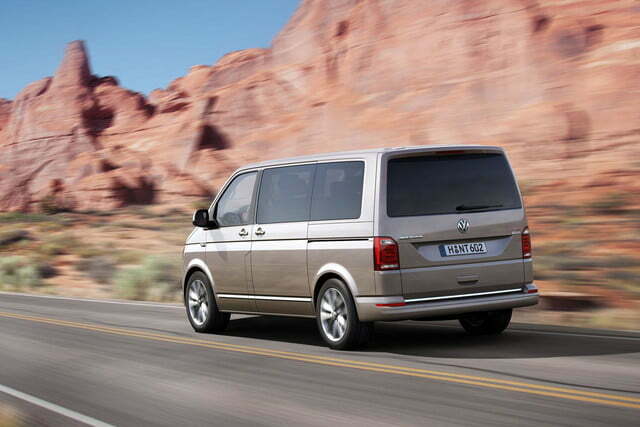 The back end gets smaller square tail lamps, while new paint colors and wheel designs round out the updates. Buyers after a retro-styled look can order the van with a two-tone paint job and vintage-looking 18-inch alloys called Disc that are similar to the ones offered on the Beetle. At the other end of the spectrum, the base-model Transporter with welded-in rear windows gets by with black plastic bumpers and steel wheels. More significant changes are found in the engine bay, where the Transporter gains a new 2.0-liter TDI turbodiesel four-cylinder engine that can be ordered with either 83, 100, 147 or 201 horsepower. Buyers who prefer gasoline-burning engines can ask for a 2.0-liter four that makes either 147 or 201 ponies. Every engine comes standard with a start/stop system that makes the new Transporter noticeably more efficient than the outgoing model. Most models can be ordered with a six-speed manual transmission or a dual-clutch DSG unit. Front-wheel drive comes standard, and Volkswagen’s 4Motion all-wheel drive system is available at an extra cost. 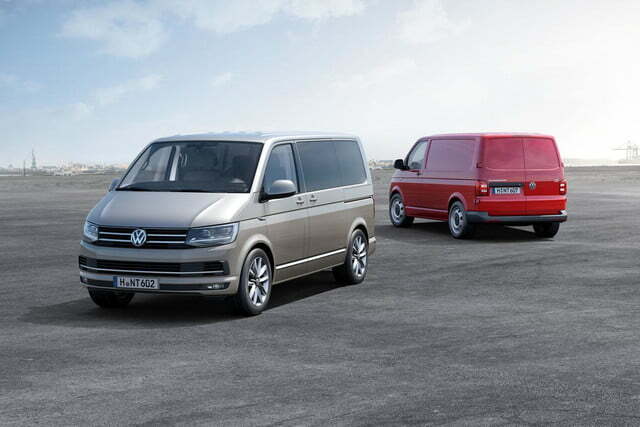 Buyers in Europe will be able to order the 2015 Transporter in the next few days. 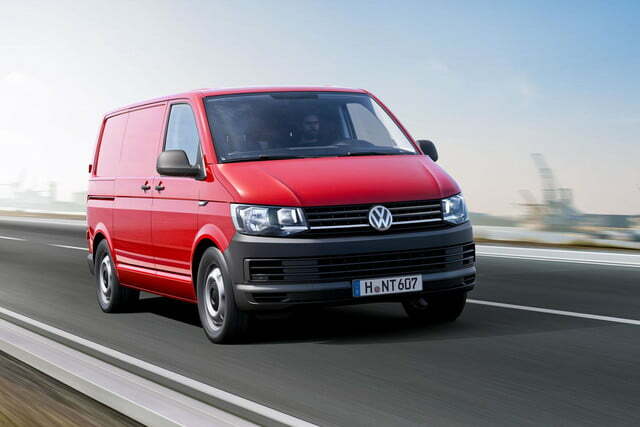 Although pure speculation, it’s not too far-fetched to say that the van stands a good chance of joining Volkswagen’s North American lineup in the coming years. The Wolfsburg-based automaker recently hinted that it could launch a van in the United States before the end of the decade, and rival Mercedes-Benz introduced the similarly-sized 2016 Metris a few weeks ago.